Ride the subway. Buy a MetroCard: unlimited for a week. Visit a museum (Google for exhibits and days closed. Visit the 9/11 Memorial & Museum at the site of the World Trade Center. Reserve time and print ticket in advance on their website. See the city from an observatory. Print ticket (to bypass the ticket line) from their website. Walk around SoHo, and, if time, the West Village and Chinatown. Print out GuideMaps in advance. Walk Central Park enter at 72nd street - see the Bethesda Fountain, Literary walk, pond, come out at 59th & Fifth Avenue, by the Plaza Hotel, CBS Studio, FAO Schwarz, and the Apple Store. Take a downtown historical tour: see where the city began, where George Washington was sworn in as president, Trinity Church. Eat ethnic food - not just pizza, but Thai, Indian, African, Vietnamese, etc. __ Research NYC on this site and the web. All sorts of stuff are going to come up that may require you to change your plans - bad weather, serendipity sights, overstaying in a naborhood, etc. Part of the secret to enjoying travel is to not feel locked into a specific itinerary. The need to adapt will provide some surprises. Example: I once came across a movie crew filming outside Grand Central Station. I recognized Ashton Kutcher. It was a hoot, it affected the afternoon's plans - but it was worth it to watch the filming. Many of your fondest memories will likely come from things you discover beyond the planned events. A bit of water probably won't slow you down. If you get a rainy day, change the itinerary and go to a museum and save outdoor sights for later. You may wish to pack an umbrella, but its not absolutely necessary - they are sold on the streets for about $3-5 or you can just run to a subway station (or taxi). Packing an umbrella is always a tough call. I'm pretty sure that if you pack one, then it won't rain. And if you don't pack one, then it will rain - that's just the mystery of the universe. 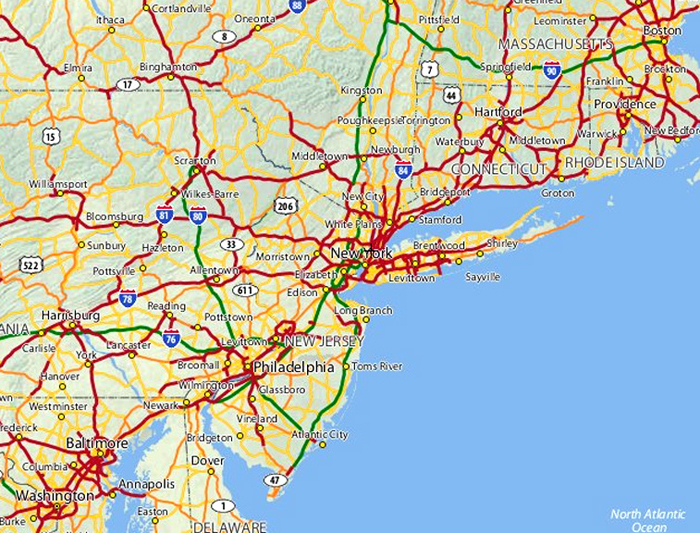 New York is one hour ahead ahead of Oklahoma and Texas because of the change in time zones from Central to Eastern. In addition, the NYC daily schedule is ahead an hour. Lunch hour is from 1:00-2:00. The evening news comes on at 7p and 11p, and prime time TV is from 8p to 11p. You will experience some great street life - entertainment on street corners and in the subway stations and eating snacks from carts and vendors (try a big pretzel or hot dog). The food vendors are regulated by the Department of Health - they are relatively safe and clean. Be careful about buying purses, watches, scarves, and other stuff on the streets - some are great bargains on good stuff, but much of it is overpriced knockoffs of name brands. I strive to help those less fortunate - I donate to many charities where I know the money will be monitored and distributed wisely. I usually do not give money to panhandlers or beggars on the street or in the subways. It can be hard to decide which ones to give money to or know how they plan to use the money, so I decide to give none at all to panhandlers. I do, however, often give a dollar or two to good entertainers in the subway stations - they are 'earning' it. You decide what is best for you. The winner of most blind taste tests of bottled water and NYC tap water is (slight drum roll here) NYC tap water. It comes from upstate somewhere and is great-tasting water. If you ask for water at meals, they may ring up bottled water - make sure to ask for a glass/cup of water if you don't want to pay for the bottled water. A bottle of water, however, can be good to keep with you during the day. Hundreds of people grab stairway rails and hold subway handrails (most are stainless steel). Some people take a small bottle of bacterial hand wash, others use the type that has pads in packets. Usually only one person at a time. Museums and Starbucks have good bathrooms, but there's almost always a line at Starbucks bathrooms because tourists and New Yorkers have identified them as public bathrooms. New York City has a lower rate of violent crime (5.5 cases per 1,000 people, 2009) than Oklahoma City (9.3) and Dallas (7.9). Safety cannot be guaranteed, but acting smart can minimize the opportunities for crime. You will likely see that the 'rude New Yorker' stereotype is a myth. The big city is so crowded and compact that New Yorkers put up a barrier to provide a sense of privacy. They come across as being brusque to strangers. Once they see that the stranger is not a threat or once you break through that thin protective veneer, they are delightful, fun, and very helpful. • The pace in New York is faster (after you get back you may experience sensations of the entire world moving more slowly). Be aware of people behind you when walking and gawking on the sidewalks. Step aside to let people pass. Help avoid the 'they must be tourists' syndrome. • When ordering food at fast food or from a cart on the street, don't step up to the register or cart until you know what you want. If you stand at the counter to decide, someone behind you may get impatient and the counter help may move on to the next person. • When its time to pay, have your money out and be ready to pay. There will be someone behind you who is in a desperate hurry (for some reason that you may never find out). Riding and learning the subway system is one of the highlights of a trip to New York. It is an enormous system - 468 stations, 300,000 seats, and enough track to stretch from New York to Chicago. You can, and should, buy an unlimited-ride MetroCard. • There are three small arrows in the lower left corner of the card that convey which direction to swipe. If accepted, the word Go will appear in the digital readout screen next to the turnstile. It may tell you to swipe again. • When approaching a subway station turnstile, carefully get out your MetroCard so you can swipe it in the machine and enter the station without slowing down those behind you. Be careful while getting your card out of your purse or wallet as the stairs and stations can get crowded and it can be easier for someone to grab your purse or wallet. • The turnstiles are two-way - that is, someone may be heading to exit from a train at the turnstile you are approaching to enter. Let them come on through or move to another turnstile that is available. • Once through the turnstile, move away from the turnstiles to allow room for others to enter the subway platform. • The middles of trains are usually more crowded, especially during rush hours. • To enter the train, the people getting off the train have the right-of-way. Step aside and let them exit. Then move into the train. • If you stand, move away from the door toward the center of the section, so others can easily enter and exit. • Hold on - people who don't usually get caught off balance when the train starts up. 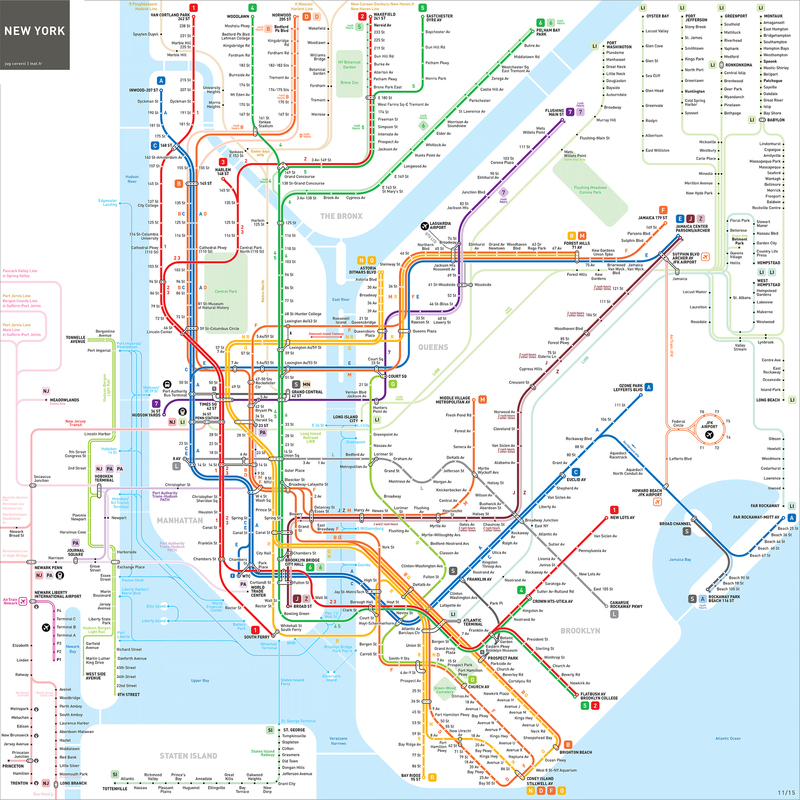 More about history, facts, and maps of the New York subway system. Stories and pix about the artwork in a few subway stations. • Don't unwrap candy or mints in cellophane wrappers. The plastic crackling noise is magnified in the quiet acoustical theaters and is surprisingly annoying. • Be considerate of the person seated behind you. Broadway theater seats are small and somewhat cramped. It can be annoying if you move around a lot or lean forward in your seat, blocking more of the view for the person behind you. • Make sure to turn off pagers and cell phones. New York City has passed legislation to ban phone and pager noise in theaters. Even without that, its very rude and inconsiderate to allow that obnoxious ring or beeping during a performance. • Restrooms in the theaters are small. Lines to the ladies room are long and slow moving. At intermission, try to get in line right away to avoid missing part of the second act, having to find your way in the dark, and disturbing those seated in the row. At fast food places - instead of Is this for here or to go? - its often Stay or go? Lite means with milk. If you want it black, say coffee black. Most delis, bakeries, and small to-go places don't keep the milk/cream out for the customer, although the sugar/sweetener is usually accessible. At Starbucks, order just like you do in Oklahoma, all the fixin's are accessible. Instead of going north or south, New Yorkers use the reference of uptown and downtown. As in "I'm going uptown to the Met." It doesn't mean literally going to uptown (Harlem), its just the direction. New Yorkers pronounce this street as house•ton. SoHo is South of Houston Street. • Something to do on the plane: book, magazine, cards, crossword puzzles, headset, etc. • Fannypack or small backpack - Ladies: if you take a purse, one with a shoulder strap may be more convenient and secure. • Casual clothes for sightseeing - Cargo pants with lots of big pockets work great for travel. Black is very popular in NYC: shows dirt less, fashionable, and appropriate in a variety of situations. • Nicer theater clothes You don't need to be dressy - almost anything is acceptable now at the theater but its a fun part of the experience to dress up a bit. • Comfortable shoes You will be walking for hours each day, on hard museum floors and concrete sidewalks. • Medications If you are on any medications, take enough for the week and take the prescription in case you need to refill. • Government issue photo ID (driver's license) for security checks. Airports, buildings, and some museums may check your bags and your ID. • Credit/debit card for serious shopping and for ATM cash - Take some spending cash for purchases from street vendors and food carts and tips. Most novice travelers overpack - be careful with how much stuff you take. Seasoned travelers know to pack light, to use layers of clothes that can be worn in different combinations, and to avoid much jewelry, accessories, and big hair (there was a person who was always late to functions because she had to mess with her hair - and it blocked views at the theater). Target and grocery stores sell travel sizes of toiletries to save space in your luggage and in the hotel bathroom. Consider leaving some spare room in your suitcase, you will probably need the space for things you buy in NYC. • The airlines are enforcing the one bag carryon rule and the weight limit on luggage. The limit is 50 pounds - but you probably don't need to take 50 pounds of stuff to New York City, anyway. • Put your first name and cell phone number inside your bag in case it is lost - someone can easily track you down. • Do not take aboard the plane anything that is weapon-like: nail files, scissors, clippers, etc. (pack those items in your checked bag). Above left: The first visual representation of Manhattan, 1626 engraving by a Dutch printer. 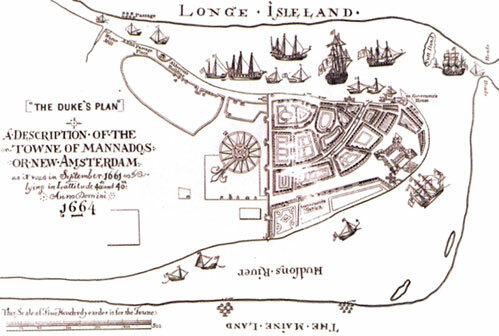 Right: An anonymous plan of New Amsterdam, 1661, probly a map handed to the English following the Dutch surrender. 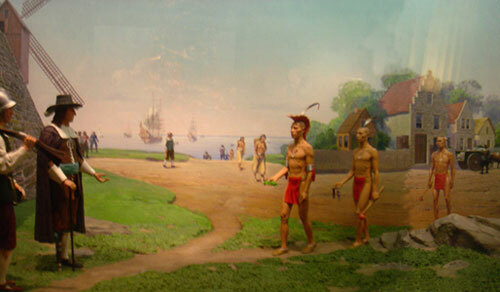 The Dutch, who bought Manhattan from the Leni Lenape natives in 1626 and built Fort Amsterdam near what today is the foot of Broadway, came to this area for commercial reasons and New York City has remained a city of commerce. Because the Dutch were interested in making money and not in ideology, they welcomed anyone into their colony who could assist in that endeavor (that practicality and history of tolerance is evident in NYC still today). In the 17th century, the Dutch colony of New Amsterdam flourished into a modern community boasting cobblestone streets, fire and police patrols, a hospital, and a protective stone wall along what is now Wall Street. Dutch legacies: flag and seal of the City of New York have a windmill in the center and place names such as Brooklyn and Bloomingdale, cole slaw, the Bowery, Stuyvesant Town, the Yankees, and the Roosevelts. Over 400 years ago the Dutch hired Henry Hudson to captain a ship called the Haelve Moon (Half Moon) whose voyage they hoped would yield a passage to Japan. When the salty river that we now call the Hudson turned fresh and then petered out north of Albany, Hudson was bitterly disappointed but his account of the harbor and its surroundings led to the later foundation of Nieuw Amsterdam as a commercial colony. The real legacy of the Dutch is diversity. New York has more people from every other country in the world except Mexico or Cuba than any other city in the United States. That was true from the beginning. In the 1640's someone reported 18 languages being spoken in Nieuw Amsterdam at a time when there were probably 500 people in the colony. The Dutch also bequeathed the principle of tolerance, which they knew to be good for business. After the English took control in 1664, the young city was renamed New York. James, the Duke of York, was granted title over the land by his brother, King Charles and honored with the renaming of the colony. 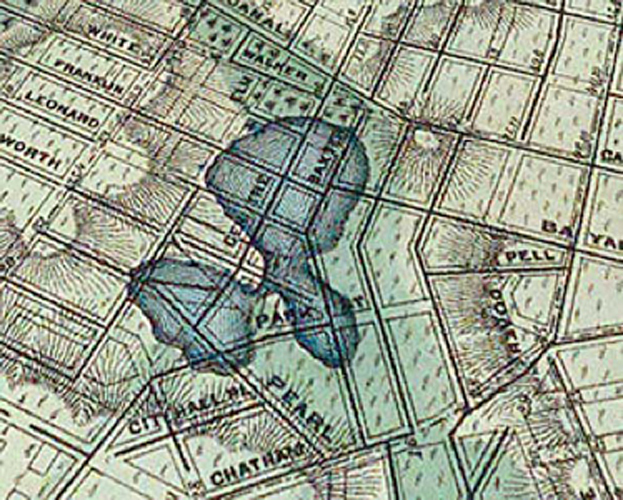 The northern boundary of the city was just beyond Chambers Street. A busy commercial thoroughfare, Maiden Lane was clogged with carts transporting grain from ships on the East River to a windmill near the Hudson. The windmill was New York's first skyline element, and today the centerpiece of the New York City seal. 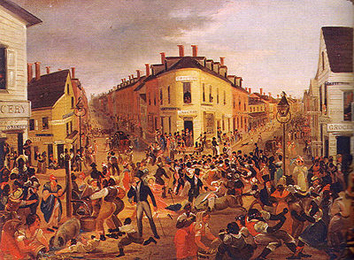 From 1785 to 1790, New York became the capital of the United States following the American Revolution. On the site where Federal Hall now stands, George Washington was sworn in as the first President of the United States. 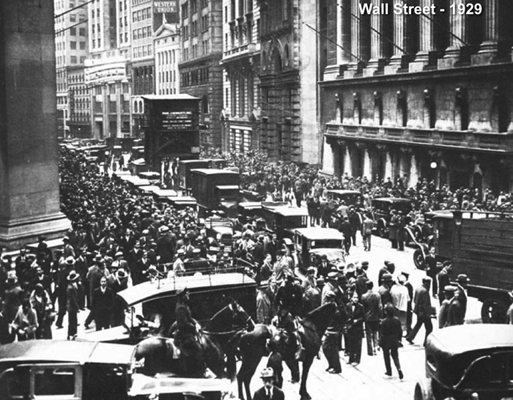 Three years later in 1792, the nation's first stock exchange opened a few steps away. New York continued to innovate in the next century, with the completion in 1883 of the Brooklyn Bridge, the world's longest suspension bridge at the time. Ellis Island opened in 1892 as a gateway to the United States for immigrants from around the world. In the early 1900s, modern skyscraper technology began to transform the Lower Manhattan skyline, with the Woolworth Building (completed 1913) and the Municipal Building (completed 1914) representing two of the most beautiful examples from the period. 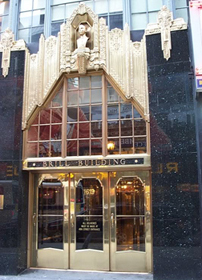 Wall Street financial firms cemented their place as world leaders even as Midtown developed as a central business district and industries such as shipping and manufacturing left their downtown locations. The skyscraper boom continued through the middle of the century with the building of the Chase Manhattan Bank headquarters from 1957 to 1961, which helped to spur the transformation of Lower Manhattan into a center of financial services and related industries. The skyward advance in Lower Manhattan culminated in completion of the World Trade Center in 1970 by the Port Authority. 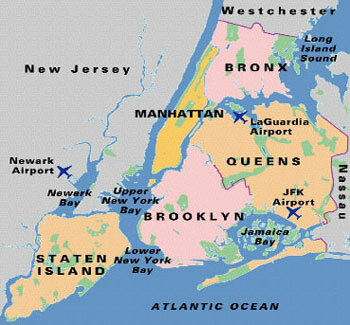 The West Bronx was annexed to Manhattan in 1874, the East Bronx in 1895, The Bronx, Brooklyn, Queens, and the County of Richmond (Staten Island) became a New York City borough in 1898. There are more Irish in New York City than in Dublin, Ireland; more Italians in New York City than in Rome, Italy; and more Jews than in Tel Aviv, Israel. 1654 Jews from Amsterdam and Dutch colony in Brazil settled in New Amsterdam, affirming policy of religious tolerance of non-Christians. On July 1, 1776 in Philadelphia, about 90 miles southwest of New York, the debate began in the Continental Congress about the proposed declaration of independence from Great Britain. A vote was taken on July 2 and passed, with the New York delegates abstaining because they weren't authorized to vote without further approval from their government in New York. Around 11am on July 4, the Declaration of Independence was approved, with 39 revisions from the original document that had been written in large part by Thomas Jefferson. This document was signed by John Hancock, as president of the Continental Congress, and Charles Thompson, secretary. About 200 copies of the Declaration were printed in Philadelphia and distributed throughout the colonies. Later, on July 9, the New York delegation received approval to concur with the other 12 colonies. On July 9, 1776, a mob ran from City Hall (now Federal Hall) where the Declaration had been read aloud, to Bowling Green and pulled down a statue of King George III and removed the crowns from the fence. The fence, which was erected in 1771, is still there. The Declaration of Independence was finally signed by all delegates on August 2, 1776. The four signers in the New York delegation were William Floyd, Francis Lewis, Philip Livingston and Lewis Morris - all from prominent, wealthy families. Francis Lewis was born in Wales in 1713 and orphaned at the age of five. When he turned 21, he inherited money that had been left to him by his father and came to New York City, where he became a successful merchant. In 1775, with war approaching, he moved his family and possessions to Long Island. Shortly after he signed the Declaration of Independence, his house was plundered by the British and his wife imprisoned for several months. She died shortly after her release. Mr. Lewis lost much of his fortune in the Revolution. He died in poverty and is buried in an unmarked grave in Trinity Church at Broadway and Wall Streets. Of the 56 men who signed the Declaration of Independence, five were captured by the British and tortured, 12 had their homes ransacked and burned, two lost their sons in the war and another had two sons who were captured. Nine of the 56 fought and died from their wounds. 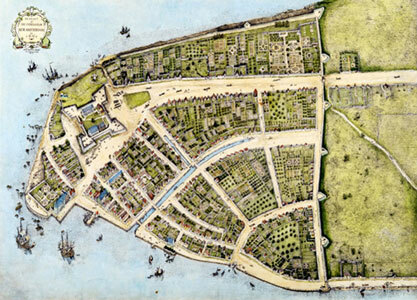 1664: British took control of Dutch New Amsterdam, New York became England's prized colony. Installed a 100-cannon battery from Staten Island Ferry to north of Bowling Green. Fort George was where Customs House is. August 1776, Battle of New York: nearly 500 warships and 30, 000 soldiers - largest invasion force ever mounted by England. 7 years of British occupation followed. Bowling Green: estab 1770, in 1776, after Declaration of Independence was read at Commons (City Hall Park) a mob ran down Broadway to Bowling Green and tore off crown tops to fence posts and topple statue of King George. Fraunces Tavern: Fraunces was patriot who allowed the Sons of Liberty to meet in his tavern. He also listened to British officers and relayed their plans to General Washington. Opening of Rev War: some students (incl Alex Hamilton) were dismantling battery cannons and got caught - they fired at British soldiers. British warship fired cannonball - hit Fraunces Tavern. 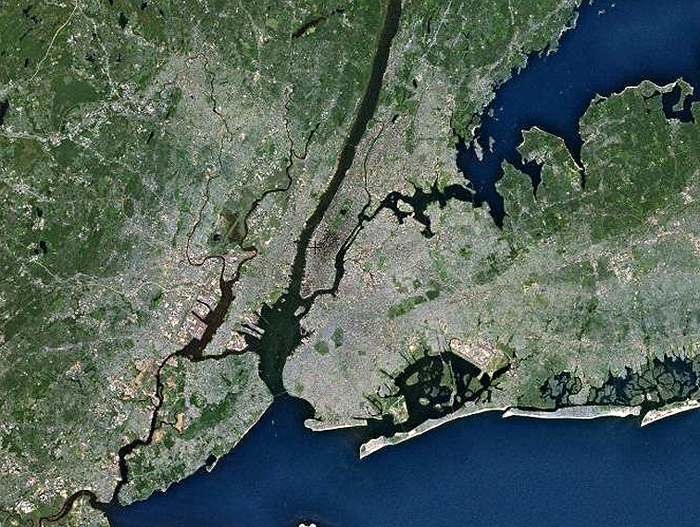 August 29: Washington's troops were split into Manhattan and Brooklyn. Wash led nightime retreat from Brooklyn across East River to unite his troops. Allowed British to take NYC, but Continental Army now had full fighting force. September 21, 1776: Washington wanted to burn down city rather than leave it to British. Congress forbade him. But, somehow, fire raced up Broadway towards Trinity Church. The town was burned, after all. St. Paul's Chapel survived thanks to bucket brigade. Washington worshipped there before his retreat from the city and it was still standing after the war. Population of NYC doubled from 12, 000 to 24, 000 within just 2 years of war's end. Guns at Battery were removed and Ft George dismantled to form Battery Promenade. April 30, 1789: Inauguration Day. Washington prayed at St Pauls before his Inauguration at Federal Hall. During 17 months of his NY presidency, St Paul was his family church. 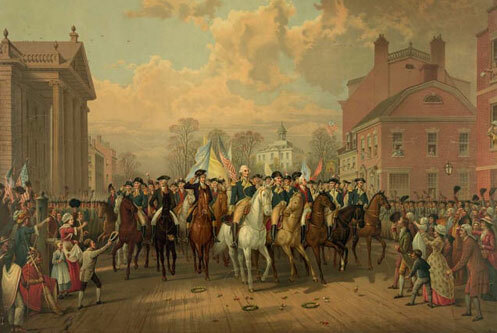 Washington later took walks along Battery and Martha entertained official functions at Fraunces Tavern. June 20, 1790: Al Hamilton visits T Jefferson's house on Maiden Lane - they decided that the new Federal government, not the states, would be responsible for the Revolutionary War debts if the capital was moved to a more central location, to appease Southern congressman. Capital was moved to Philadelphia for 10 years and then to new town of Wash DC. November 25 is one of the most important days in New York City history - it was celebrated with military parades, banquets, oratory and fireworks for well over a century. 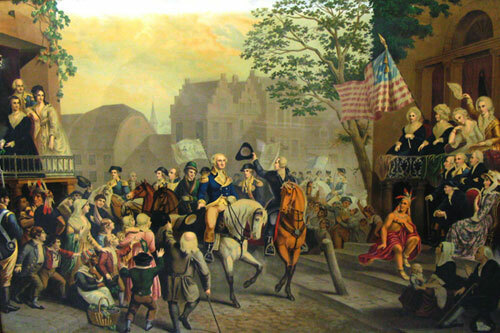 On that date in1783, after seven years of British occupation, the British left New York City and General George Washington triumphantly returned at the head of his victorious army. The New York Morning Post of November 27, 1783 stated that "the American troops marched from Haerlem, to the Bowery-Lane. They remained there until about one o'clock, when the British troops left the posts in the Bowery, and the American troops marched into, and took possession of the City." Eyewitnesses recorded that the city to which the Americans returned was half in ruins, with earthworks and trenches making many streets impassable. Trinity Church, the city's largest structure, had burned down. 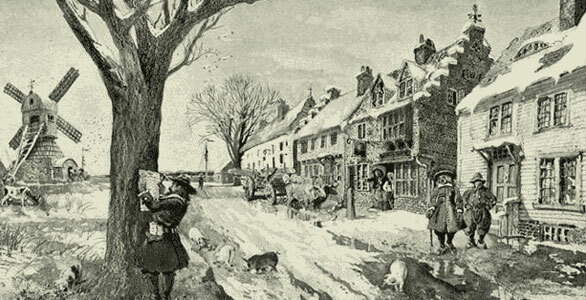 The population had shrunk from 20, 000 in 1770 to 12, 000. Most of the city's trees had been cut down and the wells were dry. The British marched out in their scarlet uniforms. The Americans marched in, as one woman described, "ill clad and weather beaten...but they were our troops, and my eyes were full." In Battery Park was a flag pole on top of which the departing British had hoisted a Union Jack flag, greasing the pole to make it almost impossible to climb. But an American sailor, John van Arsdale, obtained some tools and ascended the pole and replaced the British flag with an American flag. General Washington and the troops marched down Broadway to the Battery immediately afterward. Cemeteries also served as public parks, where people would go for a walk and even to picnic. Trinity, established in 1697 by an edict of King William III of England, has many graves dating from the 1700s, though the earliest burial, Richard Churcher, who died at the age of 5 in 1681, predates the founding of the parish. North side under a tombstone with a skull and crossbones, a winged hourglass, and an imitation of a 1600s English bedstead. The most famous: Alexander Hamilton, buried on the south side next to Rector Street. An orphan who emigrated to New York City from St. Croix in the Caribbean in search of an education, he was a lawyer, a writer, a general in the American Revolution, George Washington's aide-de-camp, a delegate to the Constitutional Convention in Philadelphia, the nation's first Secretary of the Treasury, and the founder of the US Coast Guard, the Bank of New York, and the New York Post. He died on July 12, 1804 after a duel with Aaron Burr. Hamilton's wife, Elizabeth Schuyler, is buried next to him, and his oldest son, Philip, is nearby. Some people Hamilton knew: William 'Lord Sterling' Alexander, a major general in the Continental army; John Alsop, a delegate to the Continental Congress from New York; John Jacob Astor, who traded in furs and was the wealthiest person in the United States when he died in 1848; Albert Gallatin, who served in Congress as a representative from Pennsylvania and who was Secretary of the Treasury under President Thomas Jefferson; Horatio Gates, a major general in the Continental army; Hoysted Hacker, a captain in the Continental navy; John Sloss Hobart, a Senator from New York; William Houstoun, a Continental congressman; James Lawrence, a naval officer in the War of 1812; John Jordan Morgan, Congressman; John Morin Scott, Continental congressman - and many more. Robert Fulton, whose development of the steamboat transformed commercial traffic on the Hudson River, lived in Lower Manhattan at the same time that Hamilton lived and worked here. On Feb. 24, 1815, he died at his residence in what is now Battery Place and is buried in the Livingston vault on the north side of Trinity church. A monument to Fulton is on the south side, near Hamilton's grave. 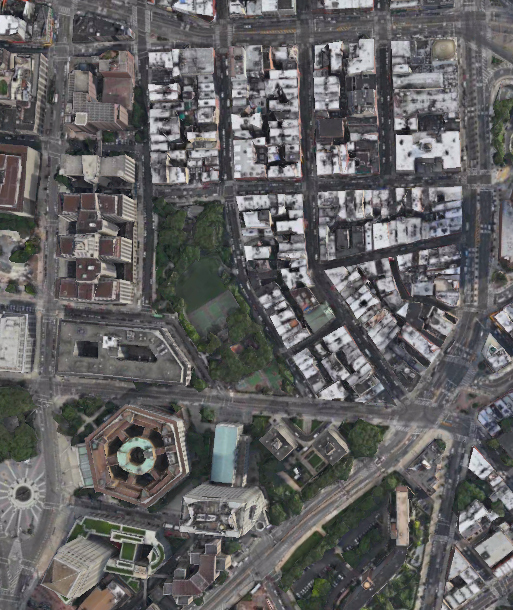 In 1733, New York residents petitioned the crown for the creation of a public park at the foot of Broadway. Before then, it had been public land used for grazing, but now residents wanted it set aside for lawn bowling - the fashionable sport in England in those days. Thus it became known as the Bowling Green. The King complied by leasing this park to the residents of New York for the nominal fee of one peppercorn per year. When Queen Elizabeth II visited New York in 1976, a city official presented her with 200 peppercorns – one for each year of rent in arrears since the Revolution. 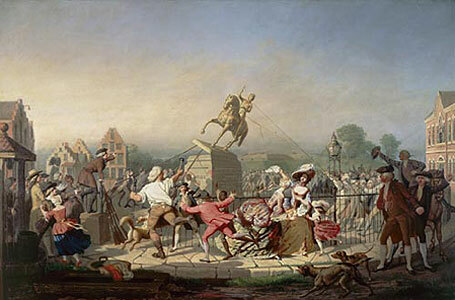 In 1765, in protest against a new round of British taxes, some locals stormed the green and ripped down the fence put there by the King. The dispute was over money - Parliament wanted the colonies to pay for themselves, and as the costs of maintaining them rose, so did the taxes. In particular, the cost of protecting the colonists had been steadily increasing as they pushed inland into Indian territories. To offset these costs, Parliament passed three tax laws in the 1760's which became notorious in the American Colonies - the Sugar Act, the Tea Act and the Stamp Act, the last of which was a tax on printed documents. The colonies were in an uproar, and some already began to call for independence. Parliament defended these taxes on the grounds that their proceeds were returned to the colonies in the form of protection and services, but since Americans were still not represented in Parliament, these arguments fell on deaf ears. “No taxation without representation" was the American battle-cry long before the declaration of independence was written. 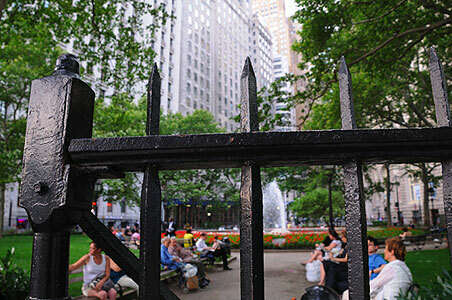 In 1770, the British replaced the fence with the one we have now - making it one of the oldest artifacts in Manhattan. And they also installed an equestrian statue of George III in the middle of the Green as a way of reasserting his authority. During the five years, tensions in the colonies were to boil over, flaring into outright Revolution on the 18th of April, 1775. July 4 1776: representatives of the 13 colonies signed the Declaration of Independence in Philadelphia, and returned to their homes to rally the cause. George Washington, despite being a Virginian, was sent to New York in order to ensure its loyalty to the cause. July 9 1776: in City Hall Park just up Broadway, Washington read the Declaration aloud to patriots and soldiers of the Continental Army. “When in the Course of human events, it becomes necessary for one people to dissolve the political bands which have connected them with another . . ." - such was the feeling inspired by this first public reading of the founding document of the United States that despite Washington's pleas for moderation, the mob raced back down Broadway to attack this park once again (see photo above of toppling the statue). They ripped down the statue of the King, tore his head off, and set it on a spike outside a Tavern up near Ft Washington – now 181st and Broadway. They then sent the metal body to a weapons factory in Connecticut where, in the words of one veteran, it was hoped that “the emanations from the leaden George III would make deep impressions in the bodies of some of his red-coated and Tory subjects." This was New York's crossing of the Rubicon, its way of declaring itself in favor of the Revolution. With this act, the die was cast; the war was on. Within two months, the British Army would chase Washington out of New York and rule it by martial law for the duration of the war. 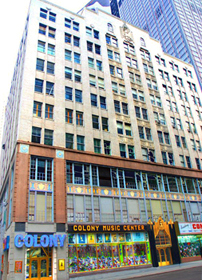 The 40-story building at 1 Centre Street was designed by McKim, Mead & White, opened in stages between 1913 and 1916. It housed not only most of the city government but a handsome new subway station. The summit of the Municipal Building with its four small turrets surrounding a large one is a graphic depiction of New York City's growth. Civic Fame atop the building was the work of Adolph A. Weinman (1870-1952), who also designed the Liberty dime and the half dollar. At 25 feet tall, she is New York City's second largest statue, after the Statue of Liberty. In her left hand, she holds a five-pointed crown, symbolizing the five boroughs. 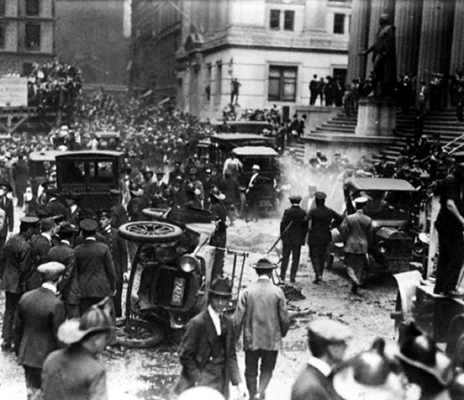 At the stroke of noon on September 16, 1920, a bomb exploded along Wall Street between Federal Hall and the JP Morgan Bank building, killing 38 people and maiming hundreds more. It was the worst terrorist bombing in the United States until the Oklahoma City attack in 1995, the worst in New York until the 9/11 attack on the World Trade Center. The bomb was most likely dynamite tied to iron sash weights that acted as shrapnel. It blew people apart where they walked out on a cool, late-summer day, tore arms and legs, hands and feet and scalps off living human beings. Others were beheaded or eviscerated, or found themselves suddenly engulfed in flames. Still more injuries were caused by a cascade of broken glass and the terrified stampede that followed. The bomb's target was presumed to be the House of Morgan, which sat like a blockhouse just across the street from where the explosive had been left in a horse-drawn wagon. The Morgan bank had emerged from World War I as the single most powerful financial institution in the world, and both the firm and its principals had been under increasing attack, rhetorical and otherwise, ever since it had arranged a huge loan a few years before to help the Allies and keep the Great War going. But the only fatality inside the firm was a 24-year-old clerk. Nearly all the bank's employees were back at their desks the next morning, some of them still bandaged and bruised. The explosion merely pocked the firm's impenetrable, marble walls. J.P. Morgan left the shrapnel pockmarks in the walls to show how solid his building was. Those are still visible on Wall Street at Broad Street. As with all terrorist attacks, most of the victims, 38 dead and 400 injured, were innocent bystanders, “messengers, stenographers, clerks, salesmen, drivers, " men and women for whom “Wall Street was not a grand symbol of American capitalism" but “a place to make a modest living by selling milk, driving a car, typing reports, recording sales." Only seven of the dead were over the age of 40. Five of them were women, four of them teenagers. Who would do such a thing? A bevy of the nation's most prominent lawmen and private detectives immediately descended on Wall Street, blaming first anarchists, then paid agents from Lenin's new government in Moscow. But years of investigation yielded nothing - no indictments, no trials, no culprits. No one ever came forward to take responsibility for the crime, or to state what it was supposed to accomplish, and before long it had dropped from public view, lost among the sensations of the racing, giddy '20s. Free political prisoners or death for you, was the statement left by the American Anarchist Fighters. March 13 1644: "Resolved: that a fence or park shall be made beginning at the great bouwery and extending to Emanuel's plantation, and every one . . . is warned to repair thither next Monday beginning the 4th of April at 7 o'clock . . . with tools in hand to aid in con-structing said fence. Let everyone take notice hereof and communicate it to his neighbor." April 4th, 1644: Wall Street was born. Manhattan had a couple thousand Dutch settlers (notice the stepped roofs) living below Wall Street. 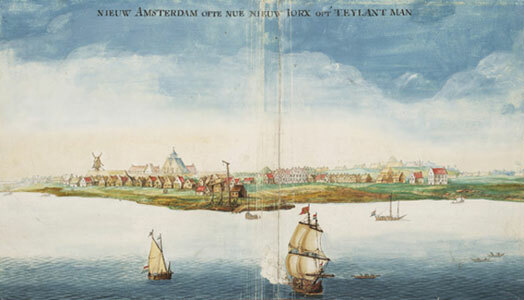 Unlike the British colonies in Virginia, Rhode Island and Massachusetts, New Amsterdam (renamed New York twenty years later, in 1664) was exclusively a trading colony, set up to extract valuable resources from surrounding area. Beaver pelts, in particular, were in high demand in Europe. The Dutch did not even need to trap them themselves, but could trade with the local indians who were much more adept at it. The Dutch provided the indians with wampum (sea shells collected off the banks of Long Island), liquor, guns and ammunition, in return for beaver pelts and anything else they needed. This was a double-edged sword, however, because these mercenary colonists tended to make quick enemies of the indians, and once they were armed with European weapons, they became a serious threat - hence, the wall. Formerly the City Hall, George Washington was sworn in as the first President on a second floor balcony of the building that preceded the current building. Constitutional amendments addressing personal and civil liberties were debated and approved inside Federal Hall. There were originally 12 proposed - 10 were approved, nicknamed the 'Bill of Rights'. Maiden Lane, which runs between Broadway and the East River, owes its name to the lovely image of a long-gone stream and to the 17th-century Dutch maidens who once washed their laundry there. The stream was filled in after the British took over from the Dutch in 1664. 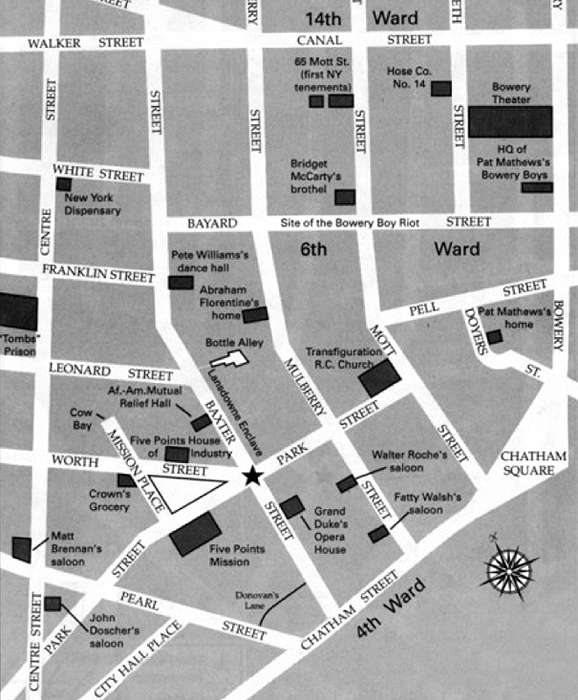 A few decades later, in September 1732, a company of professional actors arrived from London and set up a theater near the corner of Pearl Street and Maiden Lane. New York City's first theater district had become a fashionable residential area by the end of the 18th century. For a few months during the two years that New York City served as the nation's first capital (1788-1790), Thomas Jefferson lived at 57 Maiden Lane. He had a windowed gallery built in back of his residence where he kept some East Indian rice plants gathered by Capt. William Bligh - master of the ill-fated ship, the Bounty, and sent to Jefferson by a friend in London. By the early 19th century, Maiden Lane had become New York City's jewelry district possibly because ships bringing gold and jewels could dock in the East River. The street between Broadway and Nassau was lined with small workshops. Cooper-Hewitt Museum: sisters Sally and Nelly Hewitt (granddaughters of Peter Cooper) bought a collection of textiles in Paris in the 1870s and dreamed of creating a museum. Museum for the Arts of Decoration opened at Cooper Union in 1897. The eccentric sisters amassed 10, 000 objects by 1910. Later moved to Fifth Avenue and renamed Cooper-Hewitt, National Design Museum. Acquired by the Smithsonian Institution in 1967. Broadway used to be a Native American path, cut through the brush and swamps of old Mannahatta, called the Wickquasgeck Trail. When the Dutch came, they took it as their main highway and gave it many names: Wagen Weg (Wagon Way), de Heere Straat (Gentleman's Street), and Brede Weg (Broad Way). Then the English won out and anglicized it to Broadway. 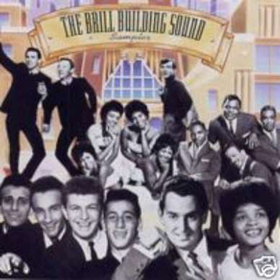 Big Apple 1: coined by touring jazz musicians of the 1930's who used the slang expression 'apple' for any town or city. To play New York City was to play the big time - The Big Apple. Big Apple 2: a writer for the New York Morning Telegraph, John Fitzgerald, referred to New York City's horse races "Around the Big Apple." It is rumored that Fitzgerald got the term from jockeys and trainers in New Orleans who aspired to race on New York City tracks, referring to the "Big Apple." Bronx: once vast farmland owned by the Dutch Bronck family. Travelers would say, “We're going up to the Broncks' farm." Over time - “the Bronx." New York: English took control in 1664, renamed for Duke of York, boundary just beyond Chambers Street. Times Square: formerly Longacre Square, an area of horse and carriage stables for the wealthy. NY Times built a new building and asked the city to rename the square. The name 'Great White Way' originates from the bright lights (no color lights at that time). Windmill: Maiden Lane carts transporting grain from ships on the East River to a windmill near the Hudson - first skyline element, and now the centerpiece of the New York City seal. In the 1850s, crime had gotten so bad and tough to control, the city authorized a 'citizens brigade' and issued them copper badges. People called them ‘Coppers' or ‘Cops'. Over time, the terms were used to reference any police officer. Founded: December 1973 by owner Hilly Kristal. Bands: The Ramones, Blondie, Talking Heads, The Cars, and many more started there. When The Ramones first played there (by telling Hilly that they played a bit of country and bluegrass), they didn't even know how to play their instruments. They simply just turned their amps up louder than anyone else and made lots of noise and the crowd loved it. The info below was accurate at the time of posting. Hours and days of operation may change - you may wish to verify.